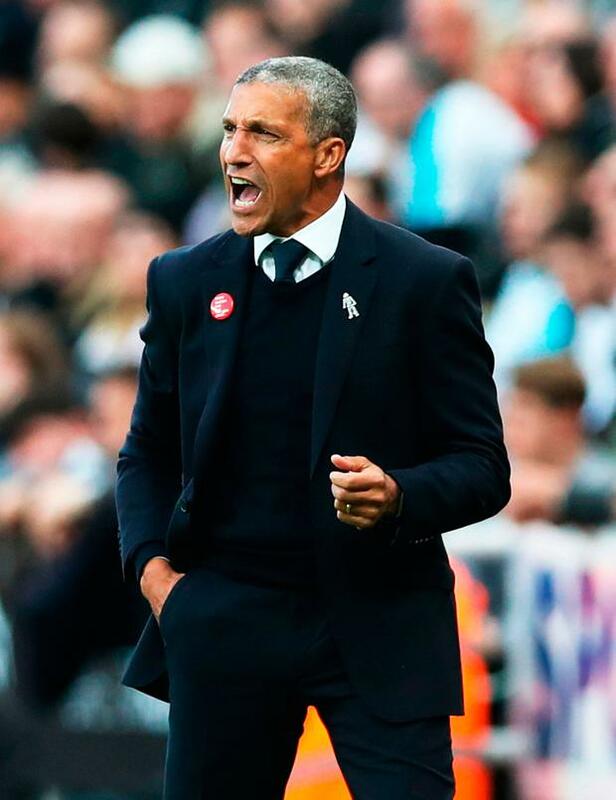 Beram Kayal's close-range finish handed Brighton a first Premier League away win in almost 12 months. There was a touch of fortune about Kayal's 29th-minute strike as he deflected home Jose Izquierdo's volley, on an afternoon when striker Glenn Murray left the field on a stretcher with a head injury. 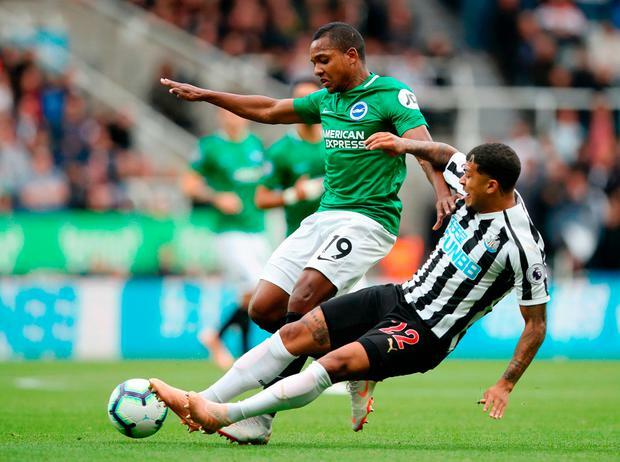 It left the Magpies without a win from their opening nine league fixtures, and having won just one of their last 15 games in all competition. It is their worst start to a Premier League season. The defeat was all the harder to take for manager Rafael Benitez as he saw his team create more than enough chances to take at least a point, but fail to take any of them with Ayoze Perez guilty of an early miss which might have changed the face the of the game. The flow of the game was interrupted for six minutes when Murray clashed heads with Federico Fernandez. After medical attention was called for, he received treatment and was carried off . The visitors took the lead seconds later from a disputed corner when Izquierdo sent in a volley which clipped Paul Dummett and was then deflected past keeper Martin Dubravka with Kayal claiming the decisive touch. The Magpies might have been level through Yoshinori Muto's header, or if Kenedy's crossbar-grazing piledriver had been inches lower. The pressure was maintained after the restart and it seemed only a matter of time until Benitez's increasingly desperate men restored parity. But despite coming achingly close through a 78th-minute Shelvey free-kick, the equaliser failed to arrive.